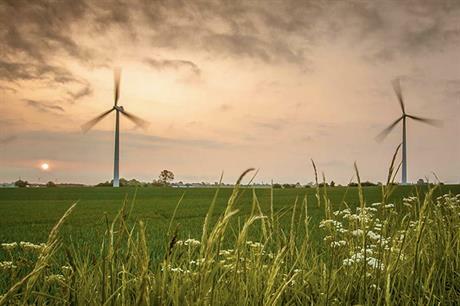 GERMANY: Utility Innogy has agreed to buy a 400MW pipeline of wind farms from developer Primus Energie, with the Regensburg-based company overseeing the projects' completion. Primus Energie will develop the pipeline, which consists of 23 sites at different stages of development, as a service provider for Innogy. Both parties have agreed to keep the purchase price and the projects involved in the transaction confidential, the companies added. A project list on Primus Energie’s website lists sites with capacities ranging from 2.3MW to 24MW. Innogy CEO Hans Bünting said: "We want to develop wind energy and enhance our portfolio in our home market, as well. "To do so, we are looking selectively for co-operations with other project developers." Jürgen Meyer-Menz, managing director of Primus Energie added: "To be able to develop projects successfully even during turbulent times, we have brought in Innogy as an extremely experienced, financially strong wind all-rounder."